Residency Week rounds up here on AFTN with the second part of our popular “Ones To Watch” series. 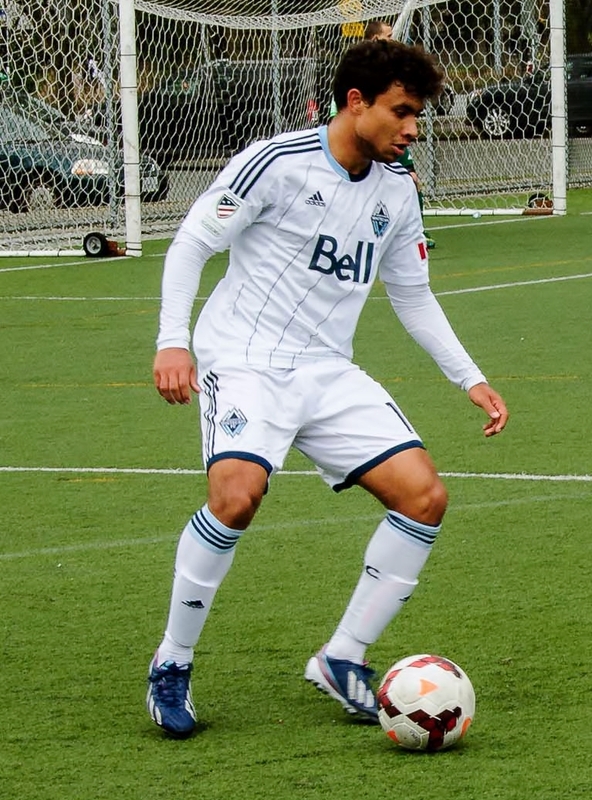 The last two years we’ve put together a countdown of who we felt were the top prospects in the Whitecaps Residency program and how we would rank them, looking at only the then current U16s and U18s (who had not already signed a MLS contract). We’ve tweaked it a little this year, bringing you two separate Top Five ‘Ones To Watch’ countdowns, one for each of the U16 and U18 age groups, along with a special note to those just bubbling under and missing the cut. Part One on Wednesday looked at the U16s, and Part Two takes a look at the U18 players that finished second in their division before suffering playoff heartbreak this week. The U18 players in this ranking could see the pitch as a professional sooner rather than later. This will be an important time for the players as they transition from academy life to playing with men much bigger. As per every year, the following rankings are a snapshot of where the players are in their development combined with the potential they show to develop into professional footballers and taking current age into account. Because potential is so hard to predict, it is not an even measurable with the player’s current status. We feel there isn’t a reason any of the lower ranked or unranked players couldn’t develop into future professionals. The rankings are put together after getting input from a number of sources. Included in this review is an independent scout who has seen the Residency players in action on a number of occasions. OVERVIEW: Haynes is one of those players that are versatile enough to play a multiple number of positions including both attacking and defensive ones. He was a big part of the U17 national team that played in the World Cup and helped the U18s make the playoffs for the third consecutive year. OUTLOOK: While Haynes is still eligible to return for another season with the Residency there might be a chance for him to be loaned and get some playing time with a pro club at a lower level. If he does return then expect Haynes to be one of the leaders of the squad next year. SCOUT’S TAKE: A tireless worker who can play in multiple positions. A player with a preferred left foot, he is excellent at either left back or left midfield, but also demonstrated his ability to play at a holding midfield role or as a box to box midfielder. Haynes also has good pace and good endurance. A big part of Haynes’ progression will be challenges to continue doing what he is doing now with the 18s at the next level. 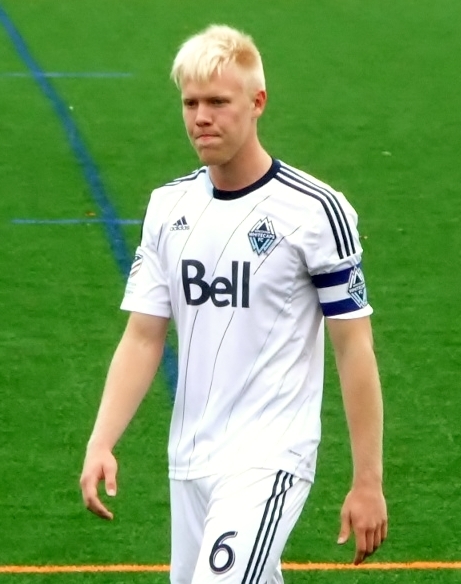 This will be partly up to him to take the chance, and partly up to the Whitecaps in finding him the right opportunities. OVERVIEW: The Edmonton native had a solid season starting with the U18s, earning a couple of call ups to national team camps and impressing with the first team at Whitecaps training camp. The only tough part of his year was his loan spell with Charleston of USL PRO where he was unable to breakthrough into the starting lineup and was being played at right back when he did get time. 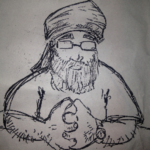 OUTLOOK: Farmer is officially graduated from the Residency program. It seems like the Caps are interested him as a future player and it will be interesting to see where they can find him playing time to continue his development, as he needs to be playing regularly to do that. SCOUT’S TAKE: A solid, technically gifted centreback, Farmer is particularly comfortable in playing the ball out of the back as he is composed and aware of what is happening around him. His speed, pace, and athleticism allow him to keep good positions tactically and take chances every now and then in knowing he can recover quickly. It is now up to him to continue to perform at the next level when he gets a chance. In addition to continuing to improve his overall game, Farmer will need to add a little bit of ‘ruthlessness’ to his centreback role. OVERVIEW: Everyone knew that Piraux was a solid player but he was clearly the biggest riser of all the Residency players when it came to potential in the pro ranks. 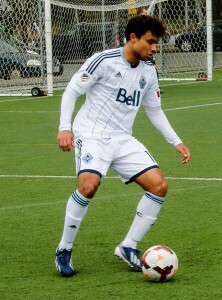 He really impressed everyone, including Carl Robinson, at preseason camp with steady play as a holding midfielder. Piraux can contribute offensively as well as he finds players with his passes and has a deceptive shot from a distance. OUTLOOK: Similar to Farmer, the Caps will have to find Piraux some playing time with a pro team since he has graduated from the academy ranks. His development has come on apace this past year, so regular minutes will be needed to keep that going. SCOUT’S TAKE: The holding midfielder has come a long way this season. Piraux has a real knack of showing for the ball in tight areas and in getting out of those areas with vision, technique, and quick play (usually one touch). He is always looking for the ball and to help out his teammates. Piraux also has a keen sense of when to get into the box and has scored some very good goals this season. To continue his progression as a central midfielder, Piraux will need to become a little tougher in the tackle and continue to show he has what it takes to move through the ranks – IE, more of the same. OVERVIEW: Froese had a much better season this year compared to the season before, especially with his ability to remain healthy. 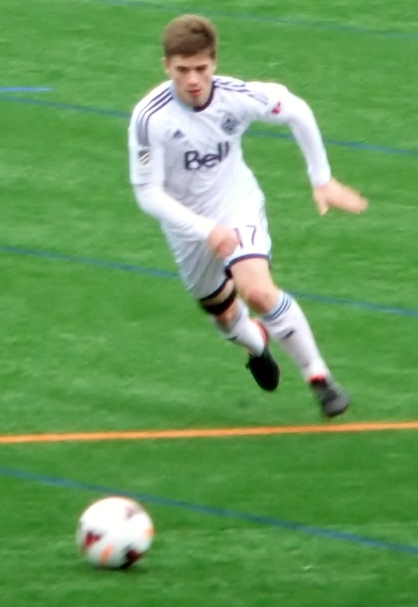 In addition to his strong play in residency Froese has not looked out of place playing for the U23s and with the first team in his start in the Voyageurs Cup tournament. In addition to his normal central midfield role, he has played striker for the U18s and winger against TFC. OUTLOOK: He can still return for another year with the Residency and may follow a similar path to Adekugbe and Carducci where he signs with the first team but plays at the lower level. SCOUT’S TAKE: Good strength, technique, and pitch awareness. 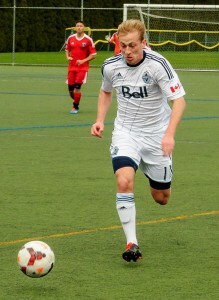 Froese has had a good season with the Whitecaps and the National Program. He has more than demonstrated the ability to move up and confirmed his progress with excellent movement, skill, readiness to play at that pace of the game, and desire to work hard at the first team level. To be successful long term, Kianz will need to focus on his fitness level and endurance to play the game consistently at the highest level. OVERVIEW: It was a close run thing, but Bustos was just able to edge out his teammate from Manitoba for the top spot this year. He was the engine that ran the U18s as he both scored and created goals for his teammates. Bustos showed in his limited opportunities with the first team that he is not as far off becoming a pro player despite his size. OUTLOOK: He is eligible to return for another season in the USSDA and like Froese could sign a MLS contract but play the majority of the year with the U18s. How much of a development that would be for him is questionable, as he was standing out a lot in the last few games of the U18s season and needs the challenge of playing against older players to really continue to come on. SCOUT’S TAKE: This boy WILL be a pro! What is to be determined is at what level he can attain – with this scout believing it can be at the very top in the game. 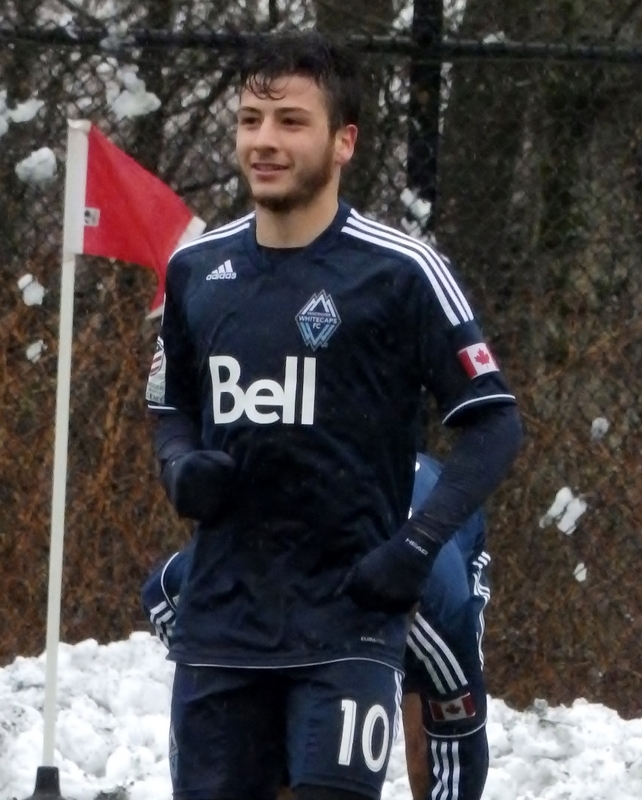 We saw glimpses of what he can do technically and his ability to be a factor in attack when he played for the first team against San Jose in the preseason tournament, as well as his participation in the Canadian Championship. Bustos’ training habits and work rate have improved considerably this year, but he will need to work on his strength and ‘staying power’ to allow him to play 90 minutes at the first team level to be the major influence in a game he can become. Keepers are the hardest players to see into the future as to how good they can become, which is a reason why Nolan Wirth just missed making it into the Top 5. Both Chris Serban and Ali Musse joined the team part way through the season and there just wasn’t enough to judge with. Hayden Simmonds-O’Grady arrived even later in the year and split the season with the U16s but will be an important part of the U18s next season and could be a breakout star. So that concludes our look at the “Ones To Watch” for 2014. We’ll be back with another next year, but in the meantime, try and get out and watch some of these guys in action. You won’t be disappointed.